The era of blogging continues, as thousands of individual jump into the blogosphere for making money sake. Before I get started with today’s stroll, I would love to share a breif experience of a friend of mine, who is quite a famous and rich blogger now. Five years back, a very close friend of mine had always wished to become a very rich and known blogger, but as of then, he moved with a low mind set which is blogging for money. Actually, his mediocrity was quite enormous and he then jumped into blogging and runned his blog for months without any beneficial knowledge of blogging. After some months, he had noticed that he had not benefited anything from blogging; instead, he wasted more of his live savings for blogging. This very close friend of mine crushed in the blogosphere for about six times still he picked courage though he had made nothing blogging and continued blogging till he makes it by all means, and what I loved most in this guy, was that, he never gave up, always picking courage. On the long run, he discovered the secret behind every successful blogger, popular and outstanding bloggers that is getting lots of goddies, blogging. From this brief experience of my friend, you would noticed that he directed his mind set like that of a mediocre, instead of taking blogging as a passion, he saw it as an open market for online business. There is a fact that you should pick from this little experience of my friend, which is, never go into a business for money’s sake, instead, you grow a passion for that business, in other to grow authority and also become successful in such business. I know that, there are so many bloggers out there, with such low mind set like that of my friend whan he started years back, bet me, with 3 best secret behind every successful blogger, which I would be breifing you on, you would become a successful blogger, as long as you abide with them. This is actually the first role that every blogger should play, towards becoming very successful in the blogosphere. Most newbie bloggers do lack the mind set towards relating to their collegues, and that is the reason they don’t succed in their blogging carrier. Having created a good time relationship between co-bloggers and pro-bloggers, then you would get to expand your knowledge in the blogosphere with a well determined mind set. Another fact behind relationship is that, you should also draw-out your line of relationship to your readers, once you’ve your readers engaged successfully, and then you would achieve more courage towards becoming a very successful blogger in the blogosphere. I made a write up on the 4 surefire ways to engage your blog readers, please; it would be beneficial if you’d go through it. This is another good secret towards being a successful blogger. It’s always said that content is the king in the blogosphere, so being a good writer is of big advantage towards making you a very famous blogger in the blogosphere. Take note that, being a good writer is not just all about writing long articles, it's about knowing the kind of articles that your visitors needs from you and perfecting such article to their understanding. The mistake most bloggers make nowadays is, writing articles for bots instead of their readers, which is not quite a good stand. Remember that good article writing for your readers is also a way towards engaging your blog readers. If you ask me, I would say that hosting giveaway contest on your blog is shortest means towards being a famous blogger in the blogosphere. Giveaway contest has become a great secret in which so many pro-bloggers do abide with, because with giveaway contest, you stand the chance of attracting every bit of your visitors, and that is also a big way to rank your authority in the blogosphere. So, I advice you should try get some little package you can afford, and host a giveaway contest on your blog, then watch the magic of being very famous in the blogosphere. Conclusively, I would say that with this brief tips explained above, you would stand a good chance of being a famous and successful blogger in the blogosphere. I formulated this rule, chiboy's rule of blogging which states that, 'In every blogging community, Relationship is the God, Content is the King and SE0 is the queen. You can also get to know the top 10 Google SE0 tips to follow in 2014. If you don't know much about blogging, or you'd want to join the blogosphere, get started here. If you're a newbie blogger that just read through this article, try to abide with those top tips mentioned above. As for the pro-bloggers in the house, I would love to hear from you, so share your top blogging secrets with us. Hey Nonso, it's nice to be on your great blog today. I actually don't like commenting on blogspot blog due to it's hassles and all those other stuffs but this article is too cool to be neglected. So you've crafted a really cool article and I must commend you for it. Kudos man! The three points you shared are sure the best ways to go if truly one wants to achieve success...and quick success for that matter. You've got to relate with others to succeed in the internet world....have you heard of the world, "You can't go blogging alone, it will cripple you?" those words really holds true my brother. And you have to up your writing game to if you ever are going to achieve any substantial results from blogging. You can't post crappy articles and expect to get success. That's highly crazy! Hosting a giveaway contest as secret to becoming a successful blogger? I think this is subjective. A blogger can host a giveaway contest and not become successful. 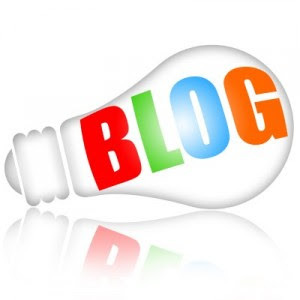 I know that any blogger can be successful if he offers of solution to the problems of readers or visitors of his blog. Yes, engaging profitably with other bloggers and writing quality contents are important but hosing a giveaway contest is not compulsory. I stand to be corrected! I have left this comment in kingged.com - the content syndication and social marketing platform for Internet marketers, where this post was shared. The 3 secrets you talked about are really great and worth of discussion. Your network matters, who you mingle with, people you relate with, who you get in plug with, it is your network that will determine how successful you will be. Hosting of Giveaway contest is also a great way to get people involve with your blog. A Giveaway can go along way in boasting one success in blogging. The three numbers shares a secret that is actually not a secret, it's just that, either one or two or all of them was forgotten, that's why not all bloggers succeed. Happy I click the link and it brought me here in your pillar. I want to share an opinion at number 3. To be a good writer, try some writing exercises, because it takes time, perseverance and practice. Nevertheless, with patience, good practical approaches and determination, in no hesitation, you can turn your creative desire into concrete writing. I found this post shared on Kingged.com, the Internet marketing social site, and I "kingged" it and left this comment. It's seems no secret to you coz u're a pro-blogger... Actually, 4 the newbie, those secret are the 1st stage of test in their blogging carrier. I must confess, as of the opinion u just contributed about good writing, it's really helpful. Thanks for stopping by, and wish you Happy blogging!!! This is inspiring. I was once like him but difference is that I wasn't blogging for money. The passion for sharing tutorials and relationship I have with.fellow bloggers kept me. 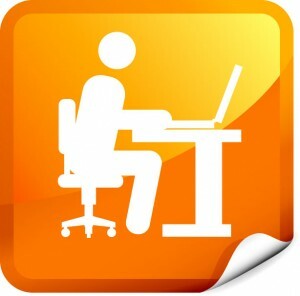 Join blogging communities on Facebook and some forums is a great advice for all. You would see lots of bloggers that will motivate you and guide you. It will obviously come at a surprise if anyone ignore this post for there is no doubt that everyone wants to be successful. In as much as you highlighted of being a good writer as one of the means to succeed as a blogger, one obviously ought to understand that it doesn't just stop there. Promotion is a key factor as well. Yeah, I too agree that a giveaway contest is essential for every successful blogger. And further as you mentioned, it works great if its a Freebie resource for the readers. I must say, there are something always available for bloggers to offer their readers as freebies regardless of the niche. For example, a technology blogger can offer some sort of tool for free that is a paid-tool in market, SEO bloggers can offer eBooks for various topics such as marketing, SEO tutorials, educational bloggers can offer study related eBooks, marketing bloggers can offer market research stats through their Free eBooks etc. This way, readers will not only stick to the blog, but will also come back to your blog after some time to check whats new there. Thanks for sharing it on Kingged.com. You can earn through so many means unlike running adverts, adsense, affilate programs etc. I love this idea-> To Host a giveaway contest on your blog, this isn't something I have tried but it does sound interesting to say the least, I think it is a great way to also engage with others HUH? I am not sure you have to be a good writer to be A Successful Blogger, I do know that you get better as you go Or at least I think you should. If you are passionate and serious about what you do then you should beable to offer value Correct? The just do it, don't make a big deal about it, just get after it and never quit..
Hi chercy, I really appreciate your comment, thanks for stopping by. This is nice and helffully blog for us and other. I'm looking web hosting and domains service provider company and i get some web hosting and domains service providers like godaddy.com, Flexydomains.com which one best for us. Hi, you have mentioned great points. The most important point is the first point. Many do not really know how to relate with bloggers, especially top ones that don't have time. You some tagging top bloggers just because you want him or her to check out your blog and the likes, that is bad. To relate with the bloggers, you just need to follow their blog extensively. Thanks for sharing this bro. Do have a nice time. I like this blog because its content is very touching. i am very impressive after read this blog. Thanks for stooping by Ketul.. The secret has been revealed .. Thnks for an awesome post. Decide which host to use based on how well it meets your hosting needs rather than on other services it provides. You might not get the best deal on domain names or other extra services from your web hosting India provider. Good shared hosting plans can be had for just a few dollars a month.